Presale started on Thursday 21 February 2019 at 18:00.  The first and second edition of State of Bass were pure epicness! 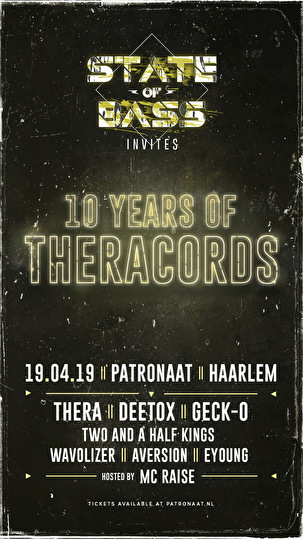 Now it’s time to invite Theracords, to celebrate their 10 years anniversary. This diverse and always refreshing hardstyle label represents exactly what State of Bass stands for: the complete spectrum of hardstyle. For over 6 hours, both old and current Theracords artists will provide you with very surprising performances!